A cold front will bring an end to the rain along with much cold temperatures heading into the weekend. 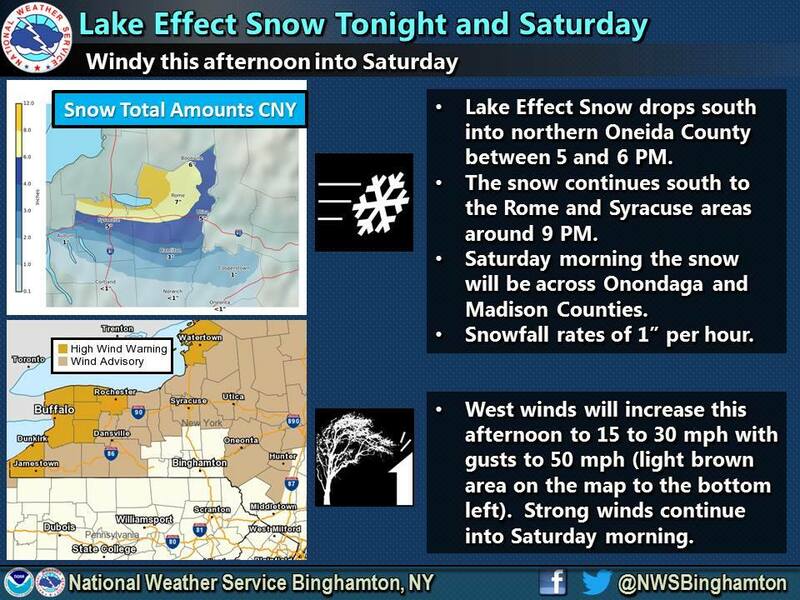 Strong winds will develop this afternoon and continue into Saturday morning, according to the National Weather Service. Today: Mostly cloudy with rain showers likely this morning, then partly sunny this afternoon. Blustery with highs around 40. Wind gusts up to 45 mph. Tonight: Mostly cloudy. A slight chance of snow showers in the evening, then a chance of snow showers after midnight. Blustery with lows near 10. Wind gusts up to 45 mph. Saturday: Mostly cloudy in the morning, then becoming partly sunny. A chance of snow showers. Blustery with highs in the lower 20s. Wind gusts up to 45 mph. Sunday: Partly sunny in the morning, then becoming mostly cloudy. Highs in the upper 20s. Monday: Partly sunny. Highs in the upper 20s. Tuesday: Snow likely. Highs in the lower 30s. Wednesday: Mostly cloudy with a chance of snow. Highs in the mid 30s. Thursday: Mostly cloudy. Highs in the upper 20s.